Give the Gift of local, GMO-free, and organic foods! 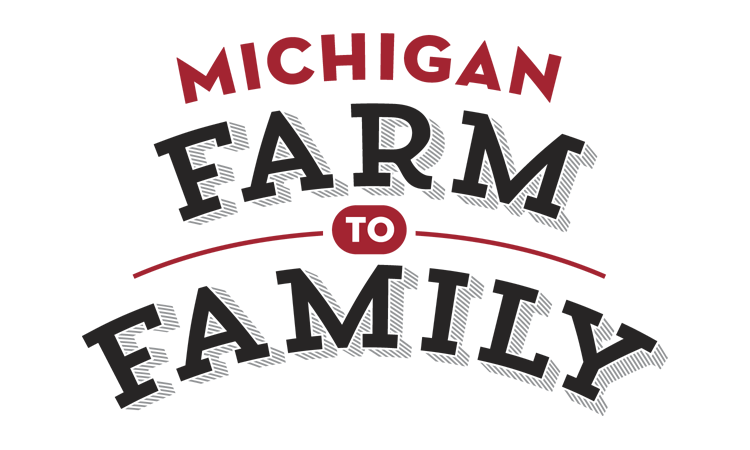 With a Michigan Farm to Family Gift Card you can feel good knowing you are helping keep the precious tradition of the small family farm and the art of hand-crafted and small-batch processing alive. And, by giving these foods, you are supporting sustainable, environmentally friendly, and humane agricultural practices as well as promoting better health for you and your family. Just fill in the form below with the message you would like to leave the recipient and we'll take it from there. Send us their name, email address or USPS address, and we'll either email a gift certificate or send one to them in the mail. If you'd rather hand deliver the gift card to them, we can put a copy in your order or mail it to you instead. Just let us know in the message box. Once you have your message ready, you can complete your purchase online, select the gift card amount, and add it to your cart. You can pay for it with your order. Recipients will need to complete a $90 minimum order and then can apply your gift to their order.